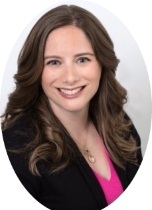 Jennifer graduated from Binghamton University with a BA in Psychology and earned her Masters of Social Work at Columbia University, with a concentration in Family and Children Services. She has extensive experience working with children and families helping them to overcome trauma and developing tools for their future. Tova graduated from Pace University with a BA in English. While breastfeeding her youngest child, she read The Womanly Art of Breastfeeding and discovered how much she didn’t know while nursing her older kids. Tova has been dedicated to helping mothers and babies breastfeed ever since. She volunteered with an international breastfeeding peer support organization and became an International Board Certified Lactation Consultant to help even more families enjoy a healthy, happy beginning. Chaya graduated from Kingsborough School of Nursing. Her dedication to helping families started while working in a private practice pediatric office. Her passion for breastfeeding began with the birth of her first son. 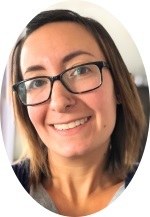 Chaya enjoys being able to support and help breastfeeding families meet their goals as a La Leche League Leader and International Board Certified Lactation Consultant. Stephanie graduated from Temple University. As a nursing mom who overcame the struggles of learning to breastfeed, she left her first meeting with her tiny, new baby while thinking, “I have found my place. I can do this. These are my people.” As a Certified Breastfeeding Counselor and La Leche League Leader, Stephanie has been helping families find the joys in breastfeeding and meeting their nursing goals.